Cozy cabins, babbling brook, heated pool and FANTASTIC rates make this a great choice! 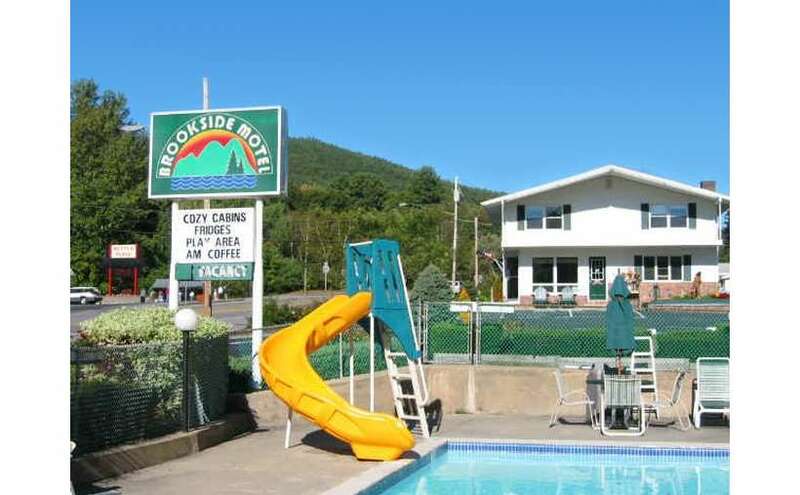 Brookside Motel is a wonderful Lake George getaway for the whole family to enjoy. Brookside Motel... and Cabins, affordable lodging in Lake George Village, is just a short walk to family restaurants, fun shops, sandy beaches, boat cruises and other village attractions, and a brief drive to many other Adirondack amusements, such as Great Escape and Hurricane Harbor, Saratoga Race Course, hiking, fishing and outlet shopping. Ask about the availability of discount tickets. Our clean and comfortable accommodations feature non-smoking motel rooms and cabins, priced to fit the family budget. 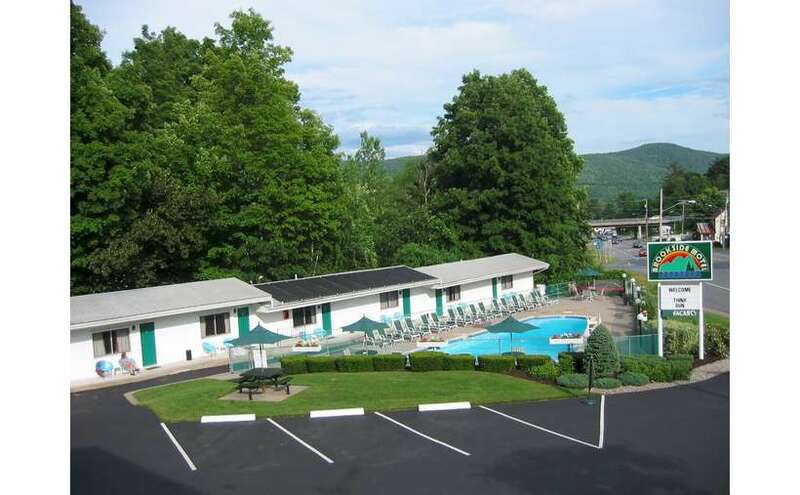 Our amenities include a solar heated swimming pool, barbecue grills, picnic tables, children's playground, swings, Wi-Fi, guest kitchen, free morning coffee and tea and a convenient stop on Lake George Village's trolley line. Each of our rooms, cabins and efficiency units has a private bath, air conditioning, heat, cable television and refrigerator. Ours is the perfect place to spend your next memorable Adirondack vacation. Relax and listen to the babble of our beautiful brook. Come and see why families and couples return year after year to Brookside Motel...and Cabins!